Retirement News > Reverse Mortgages > Articles > What is a Reverse Mortgage and How Does it Work? Let’s start with the basics: what is a reverse mortgage anyway? A reverse mortgage is a really unique type of loan against your home. When you get a reverse mortgage, you are borrowing your own home equity. (Home equity is the difference between what your home is worth and the amount you owe on your home.) So if your home is appraised at $300,000 and you still owe $50,000 on the mortgage, then you have $250,000 in home equity. So, How Does a Reverse Mortgage Work? A reverse mortgage is essentially a mortgage — in reverse. When you originally purchased your home, you probably borrowed money (got a mortgage) and you have been making monthly payments to pay down the balance ever since. Over time, your debt (the amount you owe on the mortgage) has decreased and your home equity has increased. Maybe even you own your home outright by now — meaning you no longer have a mortgage on your home. A reverse mortgage is almost the opposite of a mortgage. Instead of paying a lender, the lender pays you but here is where it gets a little complicated. Get Money: When you get a reverse mortgage, you are eligible to access — and use (in anyway you like) a portion of your home equity. Eliminate Mortgage Payments if You Have Them: The only caveat is that if you still have a mortgage on your home, the money from your reverse mortgage must be used to pay off that original loan and any other loans against your home. This alone is actually a HUGE benefit. The reverse mortgage completely eliminates having to pay ongoing monthly mortgage payments. You will have a lot more freedom without the burden of that bill. Accumulate Interest: Instead of paying down the loan and the interest on the loan as you do with a traditional mortgage, you are accumulating interest on your reverse mortgage proceeds — but only on the money you receive. So, your loan amount grows over time. However, you will never ever owe more than the home’s value at the time the loan becomes due. Pay Back the Loan: Reverse mortgages are paid back plus interest when you die, sell your home, or permanently move out of your home. However, as stated above, with a reverse mortgage, you will never owe more than the value of your house. In this regard, a reverse mortgage is part loan and part insurance product – the reverse mortgage lenders are pooling their risk across many customers and making a calculated bet that most will pay back the loan in full with proceeds from the future sale of their home. Who Is Eligible for a Reverse Mortgage? What Are the Qualifications? If you are asking about what is a reverse mortgage and how does it work, then you probably want to know if you qualify for this loan. Borrowers must be at least 62 years of age for most reverse mortgages and have sufficient home equity. Furthermore, you must occupy the home as your principal residence (you must live there the majority of the year). Single family one-unit dwellings are eligible properties for reverse mortgages. Some programs may also accept 2-4 unit owner-occupied dwellings, along with some condominiums, planned unit developments, and manufactured homes. Generally homes that are less than a year old are not eligible. Your age — The older you are, the more money you are eligible to borrow. The current interest rate — The lower the interest rate, the more money you can borrow. It is important to note that you will never be able to borrow an amount equal to the full value of your home or even all of your home equity. In order to maintain home ownership, you actually need to retain home equity. This ownership stake also gives you more flexibility and options for the future. If you want to know how much you personally are eligible to borrow, you can get an estimate with a good reverse mortgage calculator. How is Money Paid to Me from a Reverse Home Mortgage? Reverse mortgages do not generally affect Social Security, Medicare or pension benefits. However, if you are currently eligible for Medicaid or other low-income help from the government, you need to be careful that income from a reverse mortgage does not eliminate your eligibility for these public programs. What Are the Costs of a Reverse Home Mortgage? The Bad News: These costs can be significant although not too different from the costs associated with other types of home equity loans. However, generally speaking, if you don’t think that you will remain in the house for longer than another five years, a reverse mortgage is probably not be the most financially advantageous decision. The Good News: These costs can usually be financed from the proceeds of your loan. You can review a full case study of these costs in this article: reverse mortgage rates and fees. How Can I Use My Reverse Mortgage Money? Additionally, using a reverse mortgage as an estate and retirement planning tool is particularly advantageous – see Innovative Uses for a Reverse Mortgage for more information. Is a Home Equity Conversion Mortgage (HECM) Different from a Reverse Mortgage? HECM is an acronym for Home Equity Conversion Mortgage. The HECM is the most popular type of reverse mortgage — by far. It is the federally insured reverse mortgage – and currently the only reverse mortgage program widely available. How Else Can You Use Your Home Equity to Help Fund Retirement? What Are Alternatives to a Reverse Mortgage? Downsizing: You could sell your home and move to another residence. Downsizing is considered to be the most efficient way to access your home equity. Home Equity Loan: You could borrow against your home and receive a lump sum in the form of a home equity loan or establish a home equity line of credit. However, it can be very hard for seniors to qualify for a home equity loan because of income requirements and the fact that you need to start repaying home equity loans as soon as they come into effect. 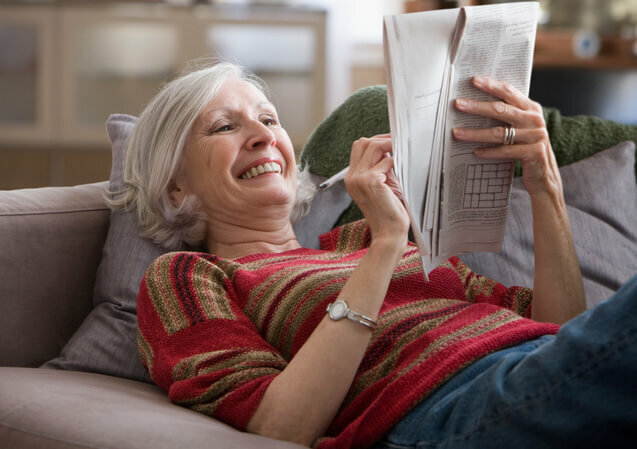 Now that you hopefully have a better idea of “what is a reverse mortgage and how does it work,” it is time to assess whether or not it is right for you and your retirement. Estimate your reverse mortgage loan amount today. Or, assess if you qualify and whether or not is a good idea by using the reverse mortgage suitability quiz.